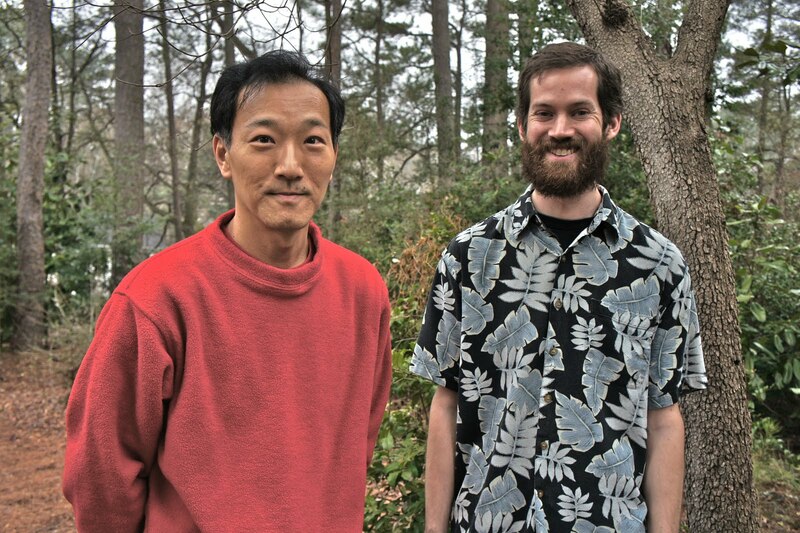 A key creative breakthrough occurred when Emory mathematicians Ken Ono, left, and Zach Kent were hiking. As they walked, they noticed patterns in clumps of trees and began thinking about what it would be like to "walk" amid partition numbers. 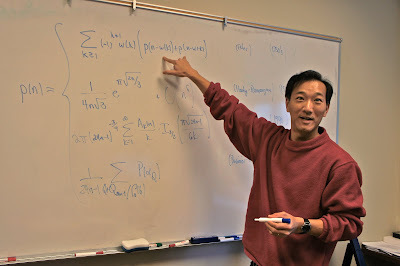 Ono and his research team have discovered that partition numbers behave like fractals. They have unlocked the divisibility properties of partitions, and developed a mathematical theory for “seeing” their infinitely repeating superstructure. And they have devised the first finite formula to calculate the partitions of any number. 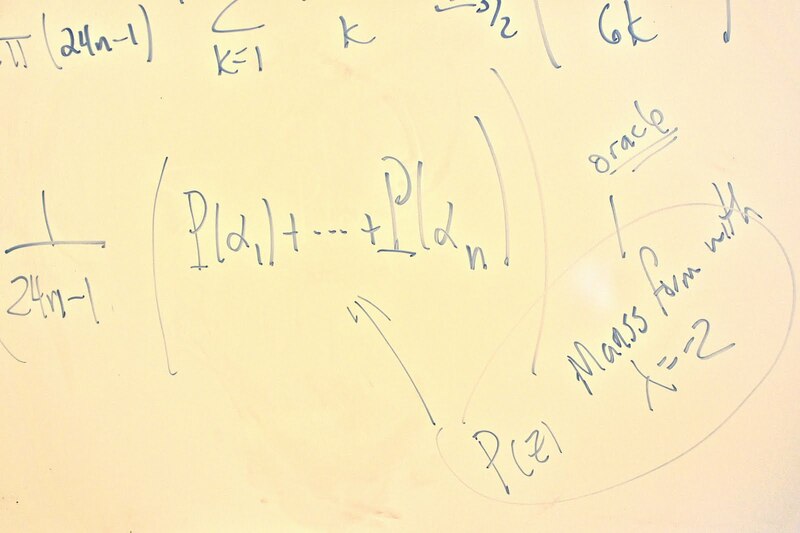 The problems of partition numbers "have long fascinated mathematicians," Ono says. The work was funded by the American Institute of Mathematics (AIM) and the National Science Foundation. Last year, AIM assembled the world’s leading experts on partitions, including Ono, to attack some of the remaining big questions in the field. 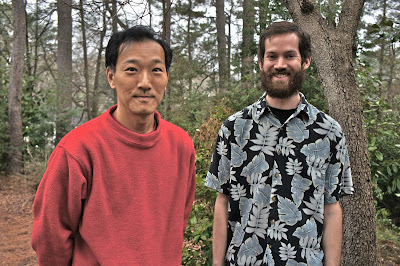 Ono, who is a chaired professor at both Emory and the University of Wisconsin at Madison, led a team consisting of Jan Bruinier, from the Technical University of Darmstadt in Germany; Amanda Folsom, from Yale; and Zach Kent, a post-doctoral fellow at Emory. On the surface, partition numbers seem like mathematical child’s play. A partition of a number is a sequence of positive integers that add up to that number. For example, 4 = 3+1 = 2+2 = 2+1+1 = 1+1+1+1. So we say there are 5 partitions of the number 4. By definition, partition numbers are tantalizingly simple. But until the breakthroughs by Ono’s team, no one was able to unlock the secret of the complex pattern underlying this rapid growth. The work of 18th-century mathematician Leonhard Euler (below) led to the first recursive technique for computing the partition values of numbers. The method was slow, however, and impractical for large numbers. For the next 150 years, the method was only successfully implemented to compute the first 200 partition numbers. “In the mathematical universe, that’s like not being able to see further than Mars,” Ono says. “This is like Galileo inventing the telescope, allowing you to see beyond what the naked eye can see, even though the view may be dim,” Ono says. The legendary Indian mathematician died at the age of 32 before he could explain what he meant by this mysterious quote, now known as Ramanujan’s congruences. In 1937, Hans Rademacher found an exact formula for calculating partition values. 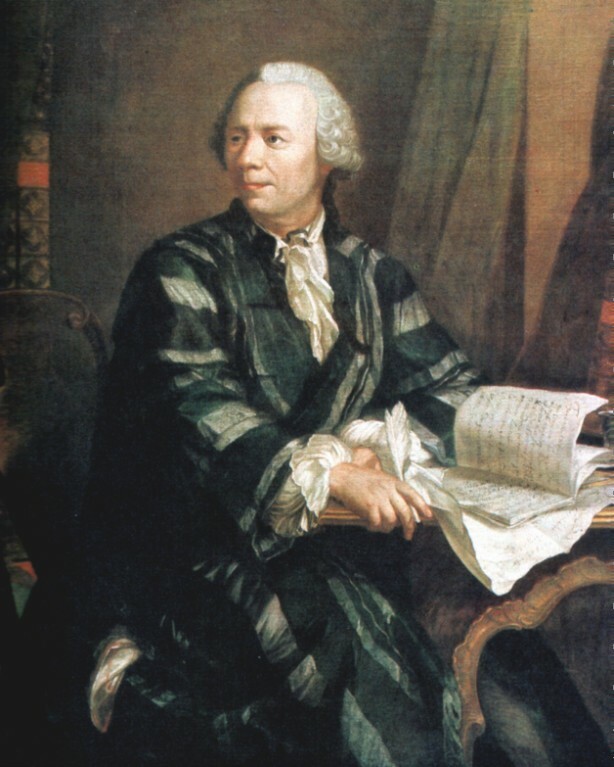 While the method was a big improvement over Euler’s exact formula, it required adding together infinitely many numbers that have infinitely many decimal places. “These numbers are gruesome,” Ono says. In the ensuing decades, mathematicians have kept building on these breakthroughs, adding more pieces to the puzzle. Despite the advances, they were unable to understand Ramanujan’s enigmatic words, or find a finite formula for the partition numbers. “We were standing on some huge rocks, where we could see out over this valley and hear the falls, when we realized partition numbers are fractal,” Ono says. Photo by Zach Kent. Ono’s “dream team” wrestled with the problems for months. “Everything we tried didn’t work,” he says. A eureka moment happened in September, when Ono and Zach Kent were hiking to Tallulah Falls in northern Georgia. As they walked through the woods, noticing patterns in clumps of trees, Ono and Kent began thinking about what it would be like to “walk” amid partition numbers. The term fractal was invented in 1980 by Benoit Mandelbrot, to describe what seem like irregularities in the geometry of natural forms. The more a viewer zooms into “rough” natural forms, the clearer it becomes that they actually consist of repeating patterns (see youtube video, below). Not only are fractals beautiful, they have immense practical value in fields as diverse as art to medicine. Their hike sparked a theory that reveals a new class of fractals, one that dispensed with the problem of infinity for partition numbers. 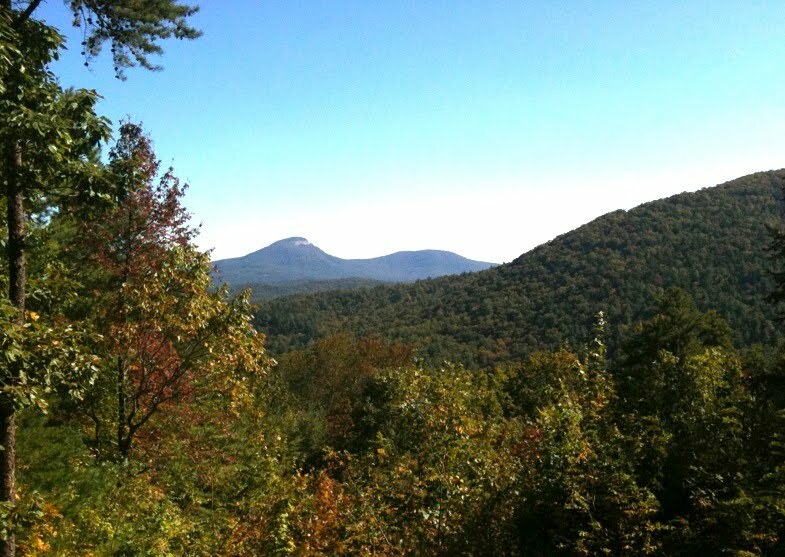 “It’s as though we no longer needed to see all the stars in the universe, because the pattern that keeps repeating forever can be seen on a three-mile walk to Tallulah Falls,” Ono says. Ramanujan’s congruences are explained by their fractal theory. The team also demonstrated that the divisibility properties of partition numbers are “fractal” for every prime. “The sequences are all eventually periodic, and they repeat themselves over and over at precise intervals,” Ono says. “It’s like zooming in on the Mandelbrot set,” he adds, referring to the most famous fractal of them all. An Atlanta traffic jam played a role in the final breakthrough of a formula. But this extraordinary view into the superstructure of partition numbers was not enough. The team was determined to go beyond mere theories and hit upon a formula that could be implemented in the real world. The final eureka moment occurred near another Georgia landmark: Spaghetti Junction. Ono and Jan Bruinier were stuck in traffic near the notorious Atlanta interchange. While chatting in the car, they hit upon a way to overcome the infinite complexity of Rademacher’s method. They went on to prove a formula that requires only finitely many simple numbers. Congratulations! This is great breakthrough in the number theory. Fractals are everywhere. This discovery is great news! My mind immediately wanders to the application of this discovery to a topic just over the horizon: quantum computing. It seems apparent that a quantum fractal with many dimensions could serve as a flawless model for an entire reality. Being able to perfectly simulate a reality is synonymous with actually creating one. I encourage every possible inference into that statement. There are profound innovations and advancements on the way, and this is the tip of the iceberg. Keep the discoveries coming! Great work! This is awesome. A great write up Ms.Clark. Lucid and great explanation. Thanks. Great Article!! We have to keep making breakthroughs like this one and keep in mind that everything is connected to nature. i smell a nobel!... congratulations! @Sergio: No nobel for mathematics, I'm afraid! Amazing. I can't wait to read the paper! This is a well-written piece on a tough topic for us laymen to grasp. Nicely done. And kudos to editors for resisting the urge to tart up the article with lots of pretty fractal pictures, but to actually illustrate it with (gasp) real mathematicians and some mathematics! A matemática ainda guarda grandes segredos. 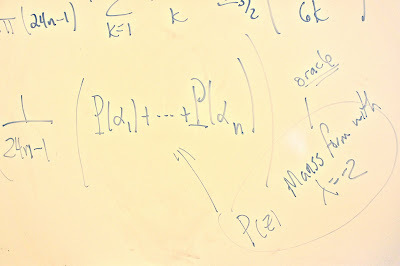 A Teoria dos Números é uma das mais belas partes da Matemática.